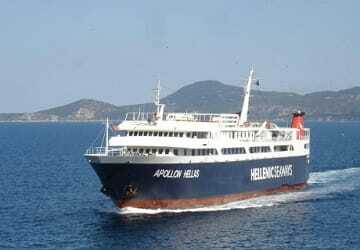 The Hellenic Seaways operated Apollon Hellas is a car passenger ferry built in 1990 in Greece with a capacity for carrying up to 1500 passengers and a garage space to accommodate up to 100 cars. The Apollon Hellas travels at around 16 knots. Onboard you’ll find a seating lounge with a bar serving refreshments. Please Note: Whilst we have taken great care in making our Apollon Hellas guide as accurate as possible, onboard facilities, services and entertainment may vary depending on the date and time of year that you travel, facilities mentioned may change without notification and ferry companies reserve the right to operate vessels other than those mentioned at time of booking without prior notification. Outward ship all fine. Return trip was a different ferry - engines incredibly noisy and not so pleasant. Booking the ferry crossings in advance via Direct Ferries seemed easy but Hellenic Seaways decided to cancel the sailing shortly before we were due to leave the UK and we were told that the 1650 crossing we had booked was no longer available and we would have to take the 2145, meaning an extra 5 hours waiting to get to Skopelos and changing the arrangements we had made with the hire car company and the villa owner. As it was our flight got in 20 minutes early and getting out of the airport and to the ferry terminal was so quick we were there just before the 1350 ferry arrived which we took for no extra charge. Ship clean, friendly and helpful staff. What more do you want on your Greek island crossing.